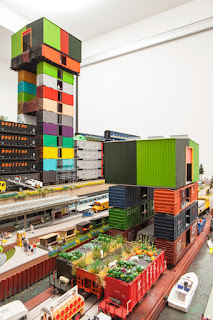 In 2013 I wrote about Canadian artist Kim Adams and his 2012 installation titled Artist Colony (Gardens). 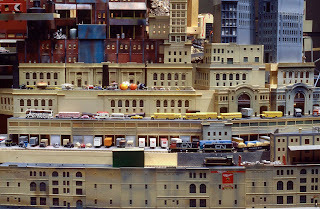 In it, Adams used a variety of objects, including HO scale trains, to make a fantastical and imaginary urban landscape. Well, the 68-year-old artist is at it again. This time his newest installation is at the Art Gallery of Hamilton. 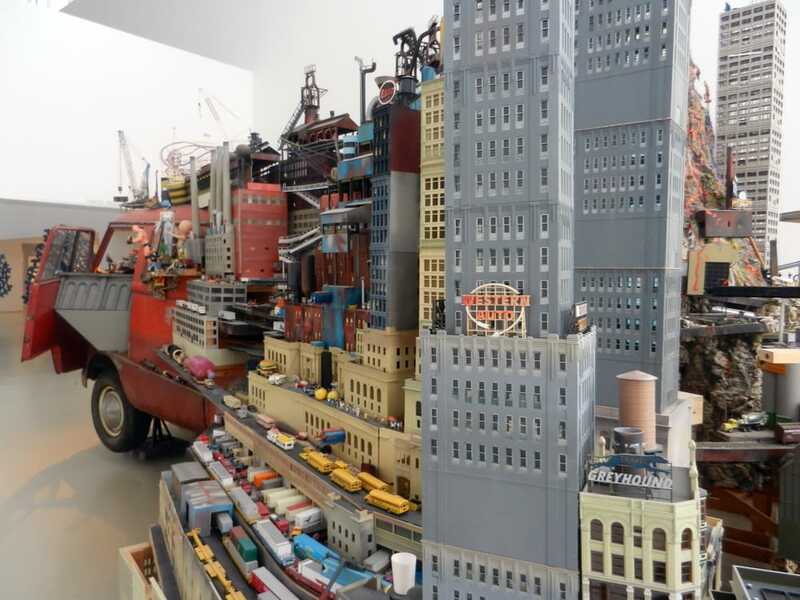 Called Bruegel-Bosch Bus, the large piece of art features an actual 1960 VW 60a van covered in figures, vehicles, buildings and, yes, trains. Lots of trains. And building kits. The Volkswagen van “appears to pull a post-industrial universe displaying a cornucopia of fantastic and seductive worlds that play with our senses,” it adds. OK—whatever you say. What I’m interested in is the trains! They appear to be from a mix of manufacturers, including at least one Rapido van. 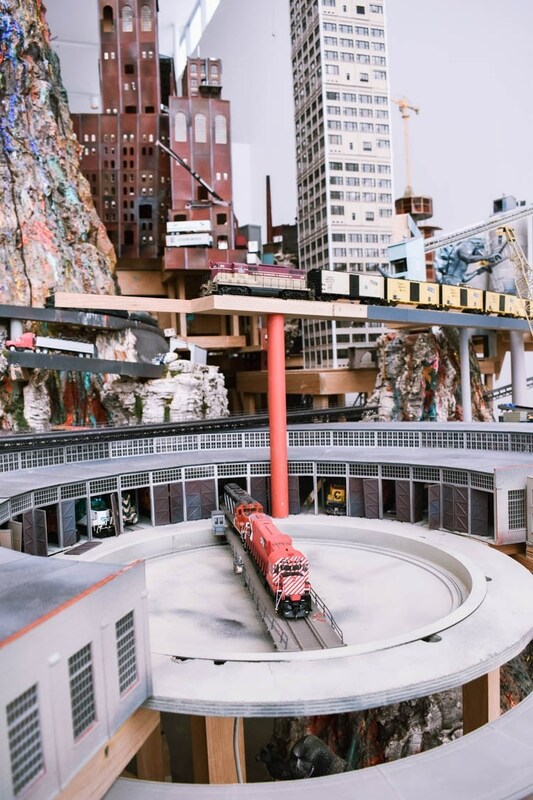 Of the trains, Adams says in an interview with the K/W Record that he finds they “have such a rich vocabulary" when it comes to art. 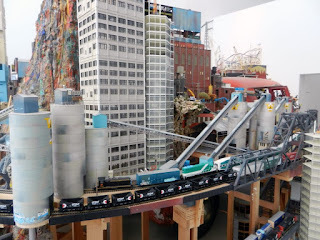 "I've always been interested in what you can buy at model train stores," he says. As for the art itself, it has things in common with normal layouts. 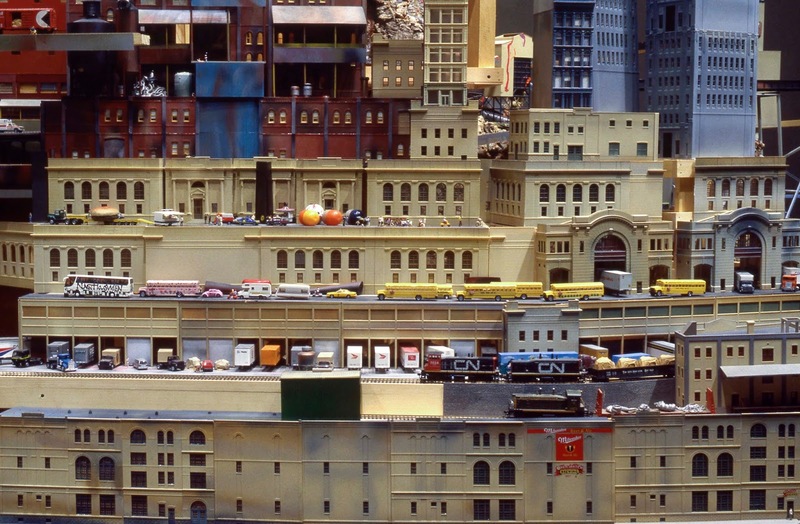 As Adams puts it, his art with trains builds "its own narrative," something you can make a world out of. And like a freelance layout, there are “no rules for it." If something doesn't work, he says it "comes out." 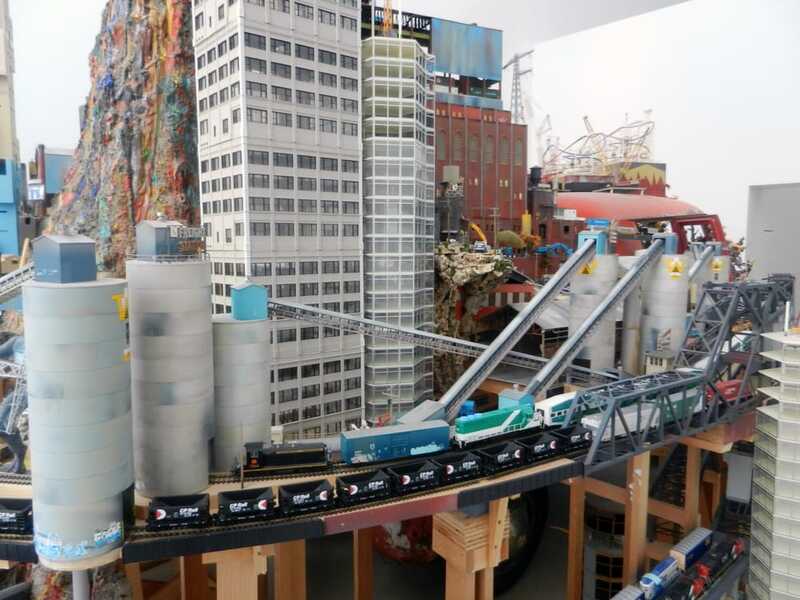 Adams started the installation in 1997. 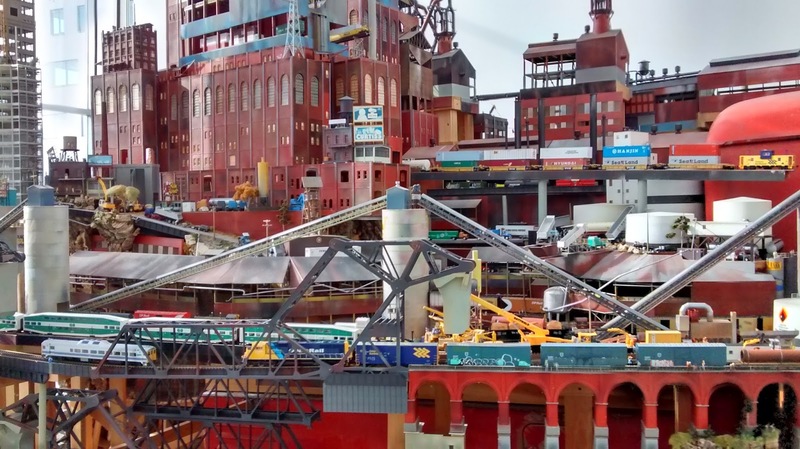 Like a layout, the fun "is just watching it grow," he adds. As for me, I think his unique art is weird, but also interesting. 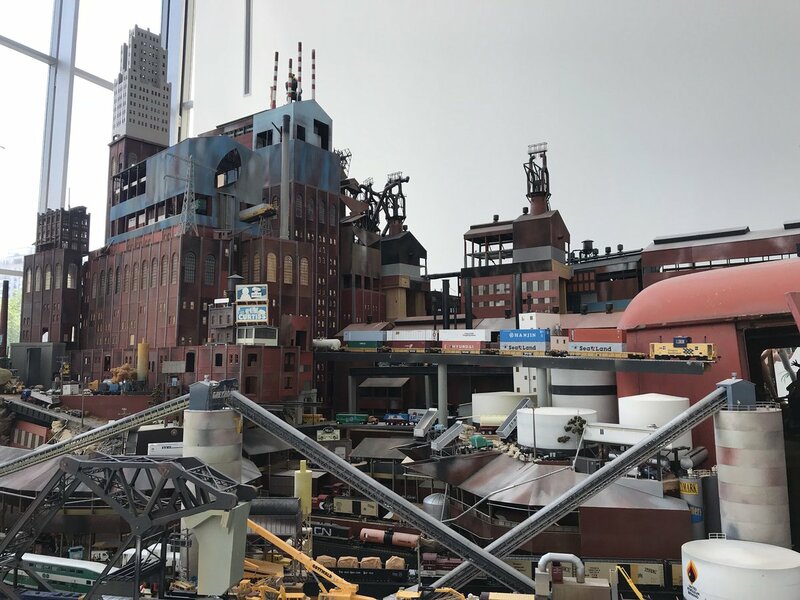 And from a model railroad point of view, at least he’s keeping some hobby shops and manufacturers in business—and that’s good for us “serious” modellers!